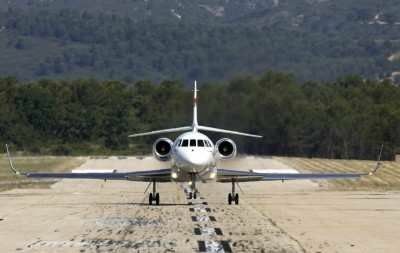 PRODUCT: Certain Dassault Aviation Model FALCON 2000EX airplanes. SUMMARY: This AD was prompted by the manufacturer revising the airplane maintenance manual (AMM) maintenance requirements and airworthiness limitations. This AD requires revising the maintenance or inspection program, as applicable, to incorporate new maintenance requirements and airworthiness limitations. DATES: This AD is effective November 13, 2018. COST: The FAA estimates that this AD affects 181 airplanes of U.S. registry. The cost of compliance is estimated as follows: Revising the maintenance or inspection program takes an average of 90 work-hours per operator, although this number may vary from operator to operator. In the past, the FAA has estimated that this action takes 1 work-hour per airplane. Since operators incorporate maintenance or inspection program changes for their affected fleet(s), a per-operator estimate is more accurate than a per-airplane estimate. Therefore, the total cost per operator is estimated to be $7,650 (90 work-hours x $85 per work-hour).